ON THE GO OC - Things to do with your family. : Kidz Bop 27 - Best CD for Kids of Today's Music !!! Kidz Bop 27 - Best CD for Kids of Today's Music !!! Have you heard these adorable kiddos rock out today's hits !? We have not only heard their previous CD's but we have seen them in concert 3 times ! Yes my daughter loves to rock out to KidzBop ! When she received the new Kids Bop 27 CD in the mail .. she just ran around screaming while opening it ! We tossed that bad boy into the PS4 and started to rock out ! I love it too ! It makes me so happy to see my baby so excited to sing and dance ! She remembers the last concert she went to in Riverside, at their "Dream Big, Sing Loud" tour, where she was on stage with the Kidz Bop Kids ! This new CD #KidzBop27 is out NOW - the list of songs on it really puts today's music into age appropriate for kiddos ! You can find more info on Kidz Bop HERE and all the info on their tour dates HERE !! We hope to get back to another concert this year or maybe 2 !!!! Its so much fun to go with another mom or two and their kids and make it a fun girls night out ! Thanks Kidz Bop for #KidzBop27 and all the musical fun ! We will keep rockin and hope to see you all soon ! We were sent a KidzBop Kids CD from KidzBop and love it. 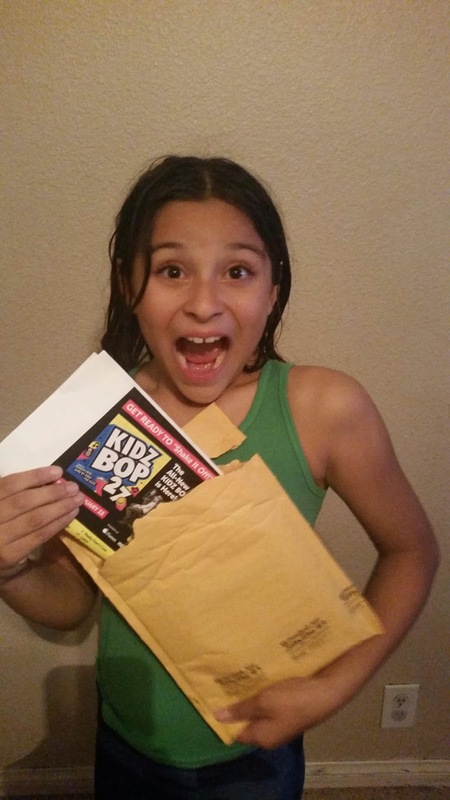 Thanks KidzBop !